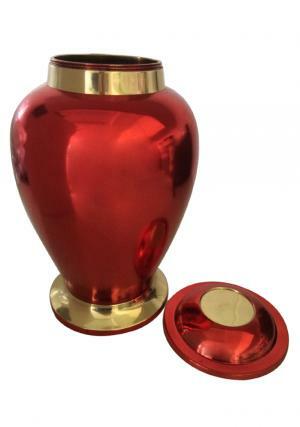 Discount on Extra Large Reading Ruby Red Brass Adult Funeral Urn for Human Ashes UK. 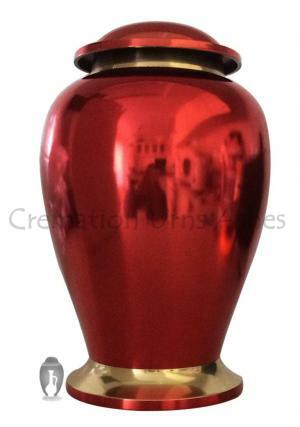 The legend reading ruby adult brass urn is made with high quality solid brass. This elegant memorial urn is hand casted and designed by skilled artisan. 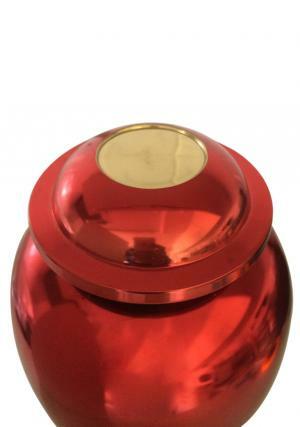 These graceful and refined funeral urns are used to keep your loved ones cremation ashes safely which, fulfil promises of your loved one who expired. 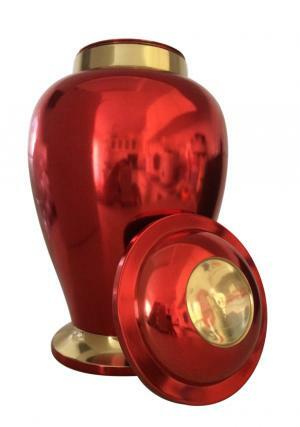 You can place this Ruby urn at any corner of your home as decorative item. It is a large adult brass urn to store funeral ashes of human to keep their memories alive. It have been finished with stunning ruby red with a brass trim. 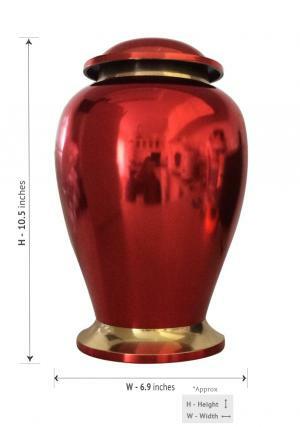 Handmade adult urns uk available with the dimensions of 10.5" inches height and weight 2.24 Kg. The cremation ashes are filled through the top of the brass urn which is secured by a threaded lid. We offer free delivery on our products. Buy now online!